What is nice about the Urban Sketchers group is that you make friends with people from other places. And this is so with the correspondent Shuhita Shirodkar from San Jose California. Before I left for California I contacted her to see if she had time to sketch since San Jose is near Fremont where I was staying. 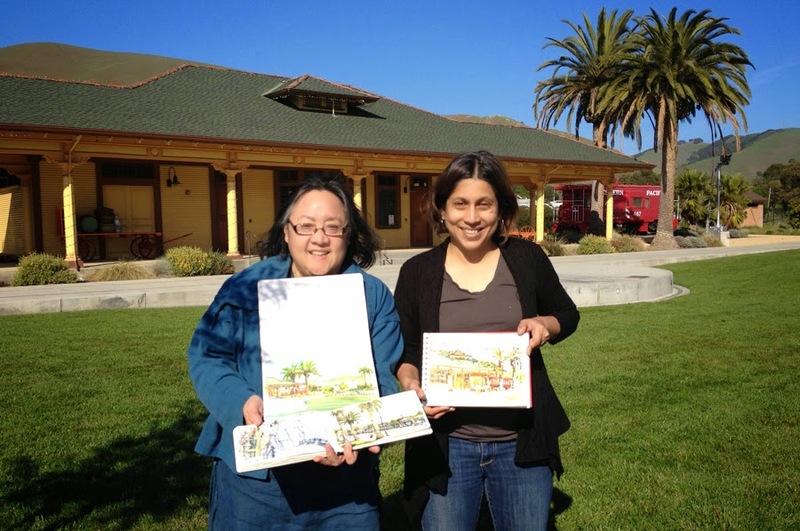 Luckily timing worked out and we set up a sketch outing at the Niles Historic Train Depot in Niles, California. I met Suhita and her niece Mohini who is a sketcher and is studying at UC Berkeley. You can see Suhita's post from that day "a-mini-sketchcrawl". For more photos of that day and links. Here are my sketches from that day.